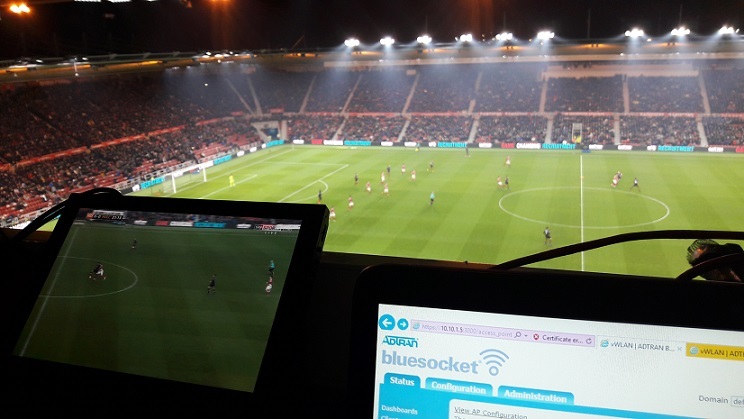 With a limited window between the season finishing and kick off of the first home game in August, Westcom faced an aggressive timeframe within which to totally refresh the network at the Riverside Stadium. 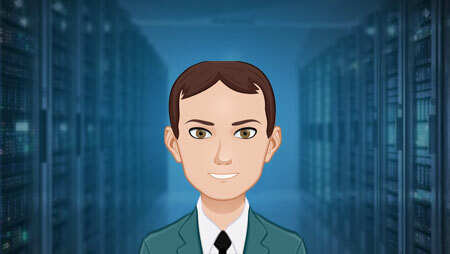 A 10Gb core fibre network was designed and built with a resilient ring running around the site with 1Gbps PoE enabled edge connections. With an increasing number of services needing network connectivity, from pitch-side advertising, CCTV, turnstiles and point of sale terminals, the need for a resilient and robust network was high on the list of priorities for the summer. BlueSocket vWLAN was installed on the existing virtual infrastructure providing 802.11ac connections to the press, supporting hundreds more devices than was possible with the previous hardware controller based system. More access points were installed to cover hospitality areas and even around the outside of the stadium to facilitate the use of ticket scanners. The brand new press facilities were fully kitted out with both Wi-Fi and cabled outlets providing high speed access to the internet. The entire refresh was in place, tested and ready to go for the first game of the season. The press were not only able to take advantage of the amazing new hospitality facilities but also the much improved Wi-Fi connectivity both pre, post and during the match.